GOODERSON LEISURE HAVE THE PERFECT SETTINGS FOR ONE OF THE MOST IMPORTANT CELEBRATIONS OF YOUR LIFE. 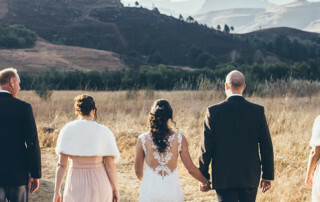 Whether you are planning a traditional White wedding with the breathtaking Drakensberg as a backdrop or an unconventional but romantic occasion in the African bushveld, they have the perfect place for you to not only exchange vows but to welcome friends and family to a reception that will be too good to forget. To ensure that you can take in the wonders of your surrounds and enjoy your special day to the fullest, Gooderson Leisure have wedding co-ordinators to help plan your wedding down to the last detail. Your wedding arrangements will be tailor made to suit your taste and your budget with special touches like stylish decor, delicious food and personal service. 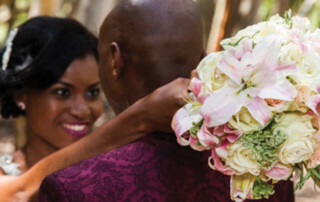 At each of their charming resorts, they have a special wedding gift waiting for you – a night’s free accommodation for the bride and groom, a romantic rose petal turn down and two night’s free accommodation on your first wedding anniversary. • GOODERSON TROPICANA HOTEL: The perfect venue for a city seafront celebration, and a wonderful wedding experience. On the day, you can enjoy warm weather and a wonderful beach setting for photographs. Gooderson Tropicana Hotel is also close to uShaka Marine World which is also a popular wedding-photography area. Toast your wedding against the backdrop of the Golden Mile, watch the sun set and the lights of the beachfront dot the evening sky. Wake the morning after to the sun rising over the breakers and panoramic views of one of the Africa’s most beautiful cities. • GOODERSON DUMAZULU LODGE & TRADITIONAL VILLAGE: Celebrate in the heart of Zululand surrounded by the rich traditions of its people. With a name that translates as “Thundering Heavens”, this 31 bedroom lodge is located south of Hluhluwe and boasts a brand new wedding and conference venue plus accommodation in authentic huts designed to portray each of the different tribes of Southern Africa, including Zulu, Swazi, North Sotho, Xhosa, Venda, Tsonga and Ndebele. The traditional village – the only one to be given the blessing of King Goodwill Zwelitini – sets the scene for unique and colourful wedding photographs. For those who want to walk on the wild side and add a little adventure, there’s the largest ‘Walk thru Bird and Reptile Park’ in KwaZulu-Natal complete with waterfalls and raised walkways and fascinating creatures. 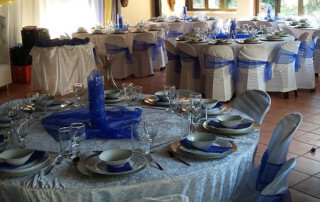 • GOODERSON KLOPPENHEIM COUNTRY ESTATE HOTEL: Brimming with olde worlde charm, this exclusive country retreat in the heart of the Highlands Meander in Mpumalanga is perfect for private small to medium-sized weddings. The Country Estate Hotel offers the bridal couple an option of marrying either in the theatre, which is easily converted into a charming chapel sitting on top of the grand plateau, with a breathtaking view of the Highlands’ nature reserve or in the grand reception area which is modelled on the original church in Kloppenheim near Frankfurt in Germany. The great vaulted ceilings and breath-taking views with imposing steps leading down to the reception make it an awesome place to exchange vows. 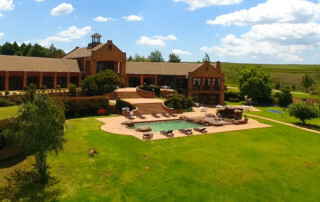 Kloppenheim can accommodate up to 110 guests and the bridal party can book the entire estate exclusively for the event. Facilities include a private dining room, breakfast terrace, colonial style lounge, library, pub, restaurant and wellness centre. The exquisite honeymoon suite with a beautiful and private view of the rolling hills is part of the bridal package. • GOODERSON NATAL SPA HOT SPRINGS & LEISURE RESORT: Located along the Battlefields Route near Paulpietersberg, this resort adds its own brand of rejuvenating magic to a wedding celebration. A beautiful venue next to a cluster of hot mineral pools complete with a bar area as well as a lovely grassy area makes for a tranquil romantic setting. For your wedding reception, the large rustic dining room with its stunning views comfortably seats 200 guests and the built in buffet area, serves up a feast fit for a King and Queen. After the ceremony and celebrations are over, you and your partner can relax in the natural mineral pools then retire to the honeymoon suite, which comes complete with a bottle of champagne and chocolates on your pillows. The following morning, you can share a fantastic breakfast followed by a complimentary ‘his and hers’ full body massage. 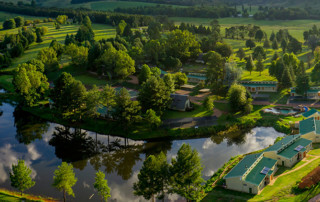 • GOODERSON MONKS COWL GOLF RESORT: Situated in the Central Drakensberg, Gooderson Monks Cowl Golf Resort is the ideal location for couples dreaming of a Drakensberg wedding with breathtaking scenery. Set in the Central Drakensberg in the magnificent Champagne Valley, it is a photographer’s dream with a picturesque golf course complete with dams, a river with a small waterfall and even a swing bridge. The function room, seating 60 – 80 guests, has its own bar and is ideal for smaller weddings. Accommodation comprises 38 brand new double rooms with en-suite bathrooms and the usual creature comforts. A short walk through the gardens takes you to the restaurant where breakfast is served anytime between eight and eleven a.m. During winter a log fire adds to the cosy atmosphere of the restaurant and pub. • gooderson mtunzini forest lodge: For bridal couples who would prefer to break with the traditional wedding venue, we offer a magical forest backdrop at our cosy resort nestled in one of the last coastal dune forests on the untouched far north coast, with access to the beach close to the resort. Our 22 rustic log cabins, available in 4 and 6-sleeper self-catering format, have all the comforts of home whilst still giving a genuine forest experience. Our local wedding co-ordinator and photographer will ensure that your wedding will be both unforgettable and affordable.